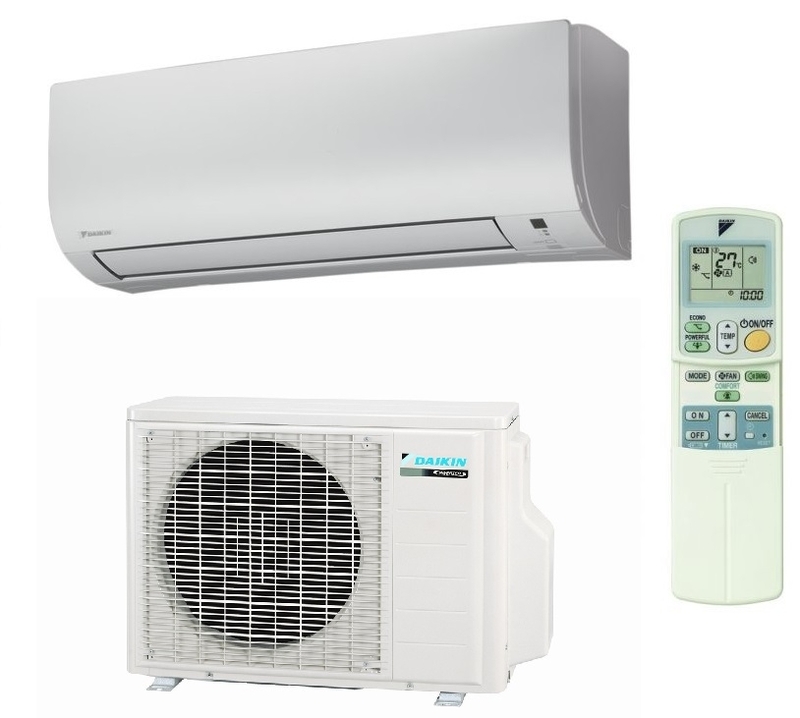 The Daikin FTXP20M high wall air conditioner heat pump system with 2Kw heating and cooling output. The system comprises the indoor unit remote control and outdoor unit. These energy efficient systems provide year round climate control for rooms up to 20 square metres in size, features include a timer facility and air purification filter. This model uses the latest R32 refrigerant.